* Question: How much interferance does Maureen Vadra has in the company's transactions and management? * Question: Were Ashok Singh, a resident of Faridabad and Bikaner's Jaiprakash Bagarwa in your contact? * Question: How much land did your company buy out of the 1,422 bighas of land in Mahajan firing range and in Bikaner's Kolayat region? 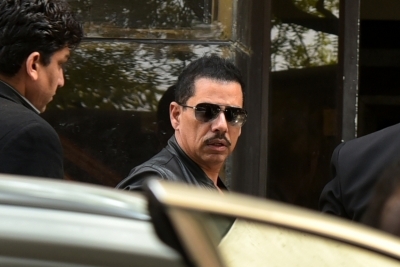 Last week, ED had questioned Vadra for over 24 hours on three days -- Wednesday, Thursday and Saturday -- in a separate money laundering case in Delhi.